On the flip side, there are certain security technologies that can help your small business thrive. 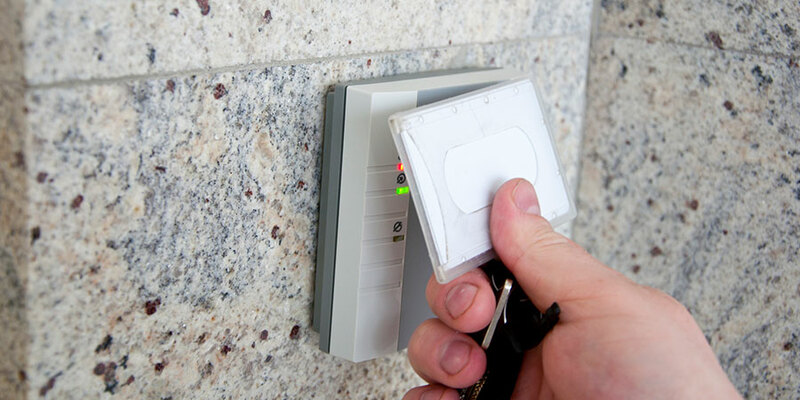 One of them is electronic access control, which is a system that enables keyless entry to a business only for those who have authorized credentials. Here’s why access control is a security investment small business owners can’t afford to be without. You’re not there 24 hours a day. And with access control, you don’t have to be. You’ll receive a text message and an email notification when someone is trying to access the business afterhours. If it’s not an employee or vendor who is expected to be there at that time, you’ll be able to take action immediately. And if it’s integrated with your video surveillance, there’s even more technology intervening on your behalf. Not all access control systems are like this. But at Guardian Security, we offer a software as a service (SaaS) model for access control that allows small business owners to modify their access control and video surveillance to their changing needs. You only pay for what you use every month, rather than paying a flat fee for services you aren’t using or in need of. It’s a turn key solution that’s better for your budget and meets your security needs more accurately. You get a mental vacation. Small business owners have fewer employees to help them manage operations, and that means more time spent worrying about issues surrounding the business. Security shouldn’t be one of those issues. At the end of your work day, you want to go home and relax – knowing that when you come back tomorrow, everything will be business as usual. Everyone needs a few hours of mental vacation from work a day, and that’s what access control provides. And if you want to check in, you can do it from any computer or mobile device. That includes your smartphone. For more information on turn key, small business access control, Seattle area business owners can contact Guardian Security. We would love to talk about how it can help your small business thrive.